Microsoft’s Surface tablets have the recovery image stored on the devices themselves, so recovery should be an easy process. But sometimes this is not the case. 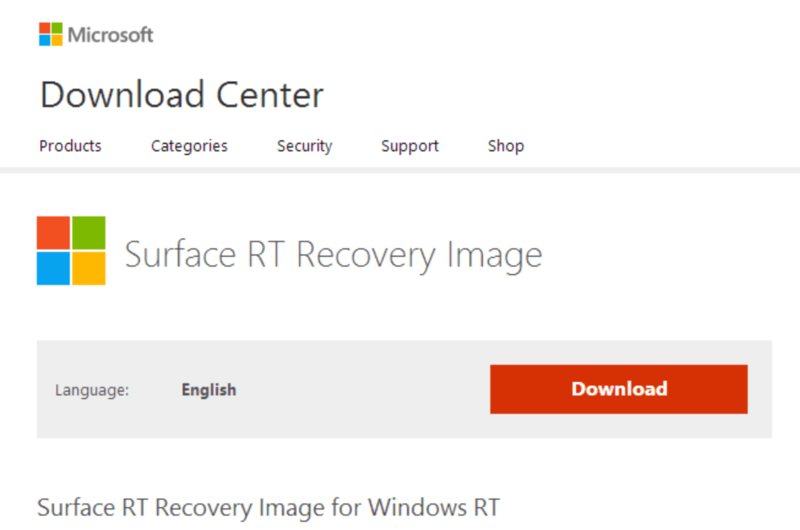 However, the good news is that you can now download the official recovery image for any Surface straight from the Microsoft site. As many of you know, you can restore your device using a system recovery image – should it stop working. For the Surface tablets the recovery image is stored directly on the device. Therefore, if the image is corrupted or if you’ve deleted it by mistake, you no longer have the possibility to restore your Surface. Microsoft has recently found a solution to this problem. You can now download the official recovery images for any Microsoft Surface from the Microsoft website. All you need to do is log in with your Microsoft account and select the appropriate recovery image. Then you need to download it, create the recovery drive and refresh or reset your Surface. It is recommended to use the same Microsoft account you used to register your Surface on the support site so that the webpage automatically finds the right recovery image for your device. If you haven’t registered it, you can do it during this process. This recovery feature is quite important since it helps you to keep all your data in place when refreshing your system and it also lets you to reset your device so that it works smoothly, as on the day you installed it for the first time. And if you’re a Windows 10 tester, you can use the recovery image to downgrade to your previous Windows version. For more information about the recovery images and the installation process, go to Microsoft’s website.